The Ghost Trap Rodeo event series is comprised of six 1-day marine debris removal tournaments in Tampa Bay. This conservation project, designed by Ocean Aid 360and Coastal Conservation Association (CCA), and funded by the National Oceanic and Atmospheric Administration (NOAA), is inspired by the belief that shallow water anglers – mangrove snook pluggers, shallow stalking redfish flyrodders, and beachfront pass crab casters – know local waters as well or better than anyone. 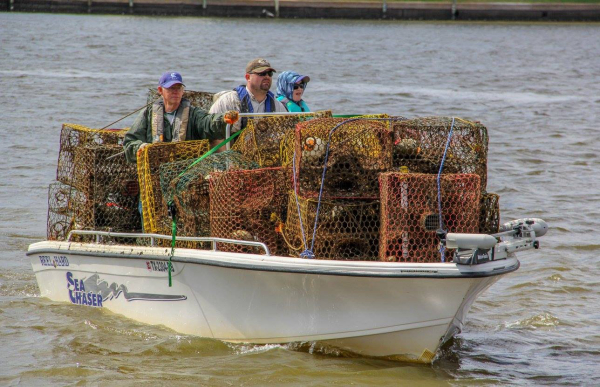 The Ghost Trap Rodeo is an opportunity to do something about derelict and abandoned crab traps that fish unattended for years at a time, and other forms of marine debris, too, that negatively impact our fishery. Further, this tournament is an opportunity to connect with fellow watermen and waterwomen, while improving marine habitat, and to compete for prizes (awarded by tournament and for overall) donated by well-known sponsors. The Ghost Trap Rodeo will promote community awareness of marine debris challenges facing the Tampa Bay watershed, while mobilizing hundreds of volunteers from the recreational and commercial angling community toward the detection and retrieval of Ghost Traps, abandoned fishing gear, and other types of marine debris detected by Ocean Aid 360 during an aerial visual baseline assessment of Tampa Bay area waters conducted during the winter of 2017. Contestants will be required to provide the location and a species bycatch inventory for collected traps. The Ghost Trap Rodeo project is resourced between August 1, 2018 and July 31, 2019 with a federal grant and matching contributions from local business owners who share the commitment to our watershed. These resources are bound by federal contract to afford the needed volunteer supplies, printed info materials, bycatch data collection kits; volunteer refreshments, prizes, staff hours, and debris disposal. By the end of the project, The Ghost Trap Rodeo will collect 15,000 lbs. of marine debris - an important step toward improved habitat. I thank you for reading up on The Ghost Trap Rodeo event series, and we sure hope you’ll participate. After this past year along the Florida coastlines, it’s clear our fisheries need us more than ever. Please don’t hesitate to contact our Ocean Aid 360 project team with any questions or good ideas related to Tampa Bay’s Ghost Trap Rodeo event series 2018-2019. Capt. Neill Holland; President, Ocean Aid 360, Inc.